E-newsletter of the Western and Central Pacific Fisheries Commission Secretariat for members, participating territories and observers. This second edition of Secretariat Quarterly comes to you as our team finalises preparations for the Commission's 12th Regular Session, to take place in Bali, Indonesia, from 3-8 November 2015. We go to Bali with a wide range of agenda items, chief among which is to secure measures that will contribute to more sustainable fishing measures in the Central and Western Pacific. Commission scientists have raised serious concerns about the status of Bigeye tuna stocks, stating very clearly that current catch levels are unsustainable. Next month's AGM is our most important opportunity this year to address the issue. Of course, success wont be a factor of one annual meeting. Recognising this, the Commission Chair, Rhea Moss-Christian and I have continued our program of visits to Member countries over the last three months, covering key Asian fishing nations. Productive meetings have ensued with China, Japan, Korea and Chinese Taipei, among others. 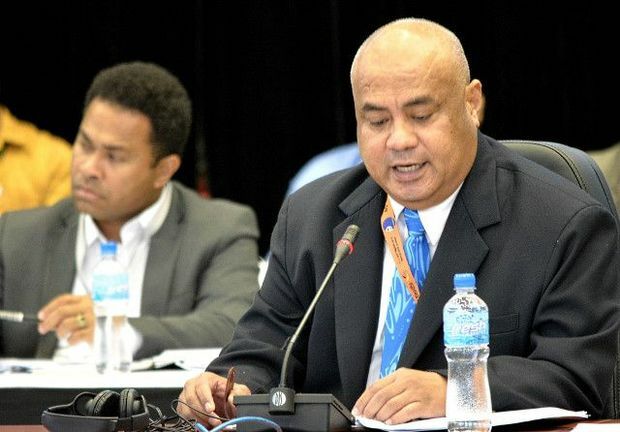 In September, I addressed the 46th Pacific Islands Forum (PIF) Leaders meeting in Port Moresby, during which I called on Forum Members and their Post Forum dialogue partners, which include the major distant water fishing nations of the WCPFC, to achieve more consensus on how to reduce the Bigeye mortality level. Success will partly be a factor of reviewing catch levels and efforts but, as we know, it will also stem from some changes to how other fish stocks are harvested, including purse seine vessel-based fishing activities that target Skipjack. During my PIFS address I also quoted former US Secretary of State, John Dulles and it is apt to revisit that observation: "The measure of success isn't whether you have a tough problem to deal with but whether it's the same problem you had last year." I go into my first meeting as Executive Director hopeful that we will emerge from the 12th Session with genuine progress beyond the 11th Session in 2014. The future of sustainable fishing in our region lies squarely in our hands and the clock is ticking. The 11th Regular Session of the Scientific Committee took place in Pohnpei in August, with opening addresses by the WCPFC Chair, Rhea Moss-Christian and the Executive Director, Feleti Teo. The session heard a range of data relating to 2014 catch statistics that reinforces the need for urgent action on key stocks. The meeting heard that the provisional total catch for the WCPFC Statistical Area in 2014 was the highest ever, at an estimated 2.86 million tonnes (mt). 2014 saw record highs to skipjack (1.95 mt), and also record high to yellowfin (0.6 mt), mainly due to increased catches in several longline fisheries. The bigeye catch for 2014 (0.16 mt) was slightly higher than in 2013, but relatively stable compared to the average over the past decade. The albacore catch (0.13 mt) was slightly lower than in 2013. A large number of biological samples have been collected through the Pacific-wide bigeye biology project and SC11 recommended that the Commission adopt the WCPFC Tissue Bank Access Protocols for analysing the collected samples. From comparison analysis between the Pacific-wide and WCPO-only stock assessments, it was recommended that the SC continue to provide management advice on the basis of WCPO-only regional stock assessment models. In 2015, a stock assessment was conducted for south Pacific albacore. Despite the fact that the stock is not overfished, the advice was that longline fishing mortality and longline catch be reduced, to avoid further decline in the vulnerable biomass. A five-year shark research plan and tuna stock schedule (2016-2020) was adopted and submitted to the Commission for endorsement. A Scientific Committee work programme was prepared with a proposed budget of USD 1.7m for 2016 for the Commission’s consideraiton, which would require funding from the Commission’s core budget. The 12th meeting of the Scientific Committee has been confirmed to take place in Bali, Indonesia from 3-11 August 2016. The 11th Regular Session of the Technical and Compliance Committee (TCC11) was held from 23– 29 September 2015 in Pohnpei, FSM. Around 170 people attended, representing WCPFC Members, Cooperating Non-Members, Participating Territories, and observers from inter-governmental and non-governmental organizations. The first five days were chaired by Ms Alexa Cole from USA, and the last day the Vice-Chair, Ms Joanna Anderson from New Zealand, chaired the meeting. TCC11 undertook a significant review of the full draft Compliance Monitoring Report covering 2014 activities and successfully agreed to recommend a provisional Compliance Monitoring Report to the Commission for consideration at WCPFC12. Time was also spent considering a draft proposal to strengthen and enhance the conservation and management measure for the Compliance Monitoring Scheme that will apply from 2016 onwards. In his closing remarks the Executive Director described “the Compliance Monitoring Scheme as the heartbeat of the work that the TCC does" and that the Commission will be well served by the work of the TCC11 participants. Cases relating to alleged illegal activities undertaken by seven vessels during 2014-15 were also reviewed and a provisional IUU list was forwarded to the Commission. TCC11 recommended that the three vessels currently on the WCPFC IUU vessel list be maintained. The Commission will consider these recommendations and adopt a WCPFC IUU vessel list at its annual meeting in Bali next month. Reports of the MCS Programmes administered by the Secretariat were also reviewed. These cover the WCPFC VMS, Regional Observer Programme, High Seas Transshipment Monitoring, High Seas Boarding and Inspection (HSBI), Record of Fishing Vessels, Eastern High Seas Pocket Special Management Area (EHSP-SMA), WCPFC Secretariat Integrated-MCS Information Management Systems and online reporting IT tools, Administration of Data Requests and gaps in Scientific data submissions. Mr Raymond Clarke (USA) reported on the outcomes of the Intersessional Working Group on the Regional Observer Programme (IWG-ROP4). Ms Kerry Smith (Australia) reported on the outcomes of the WCPFC Electronic Monitoring and Reporting Working Group held from 8 – 10 July in Nadi, Fiji. Mr Alois Kinol (Papua New Guinea) reported on the outcomes of the Catch Documentation Scheme Working Group meeting held from 21 – 22 September in Pohnpei, FSM. Mr Brian Kumasi (Papua New Guinea) reported on the intersessional activities of the FAD Management Options Working Group, which is scheduled to hold its meeting from 27 – 28 November in Bali, Indonesia. TCC11 participants also discussed some possible refinements to existing CMMs which are priority matters for WCPFC12 including those relating to: bigeye, yellowfin and skipjack; South Pacific Albacore; and bycatch measures. Implementation of Scientific Data requirements to be provided to the Commission was also reviewed during the meeting. The efforts of Korea and China to provide operational level catch and effort data to the Commission for 2014 activities were specifically acknowledged by some TCC11 participants. During the meeting, participants were informed of a recent incident where an observer on a high seas trans-shipment vessel went missing in the eastern Pacific Ocean. It should be noted that the event did not occur in the WCPF Convention Area, or as a result of WCPFC origin activities. The Chair commented that all stakeholders had been deeply saddened by this event and TCC11 delegates spoke in support of the importance of observer safety and health, which will be further discussed at WCPFC12. The next meeting (TCC12) is provisionally scheduled for 21 – 27 September 2016 in Pohnpei and will be agreed at WCPFC12 next month. As some readers will be aware, the Commission provides a Bycatch Mitigation Information System (BMIS) as a resource for fisheries managers, scientists, fishers and the general public. 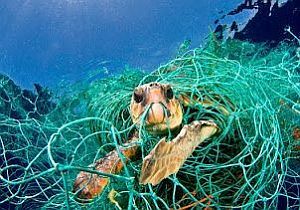 "Bycatch" mainly refers to species such as seabirds, sharks and marine turtles which are incidentally caught in migratory fisheries activities. The database is a valuable central repository of information on the mitigation and management of bycatch in the Western and Central Pacific Ocean (WCPO). The BMIS is published on our website, so please click this link for more information. The WCPFC Tuna Fishery Yearbook 2014 has been released, presenting annual catch estimates in the WCPFC Statistical Area from 1950 to 2014. The statistics cover the main commercial tuna and billfish species caught in the region including albacore, bigeye, skipjack, yellowfin, black marlin, blue marlin, striped marlin and swordfish. The PDF edition is now available for download.